Q. I'd just got a set of new tyres fitted and was taking things as easy as I could when the rear just slipped away so fast and without warning, I wanted to talk to someone at the importer to better understand what I had done wrong or if this was I common thing with new tyres. I was told by someone in Technical Support, that this unfortunately does occur. However, he said he was also a biker and he used a pumice stone on his tyres to remove the lubricant before he ventured out on the roads. He recommended I do the same; not sure this is the official line but just some advice from one biker to another. A. The release agent that is left on tyres to get them out of the mould does take a little time to wear off. There is no set period for this, as it's dependant on temperature, type of bike and road surface. 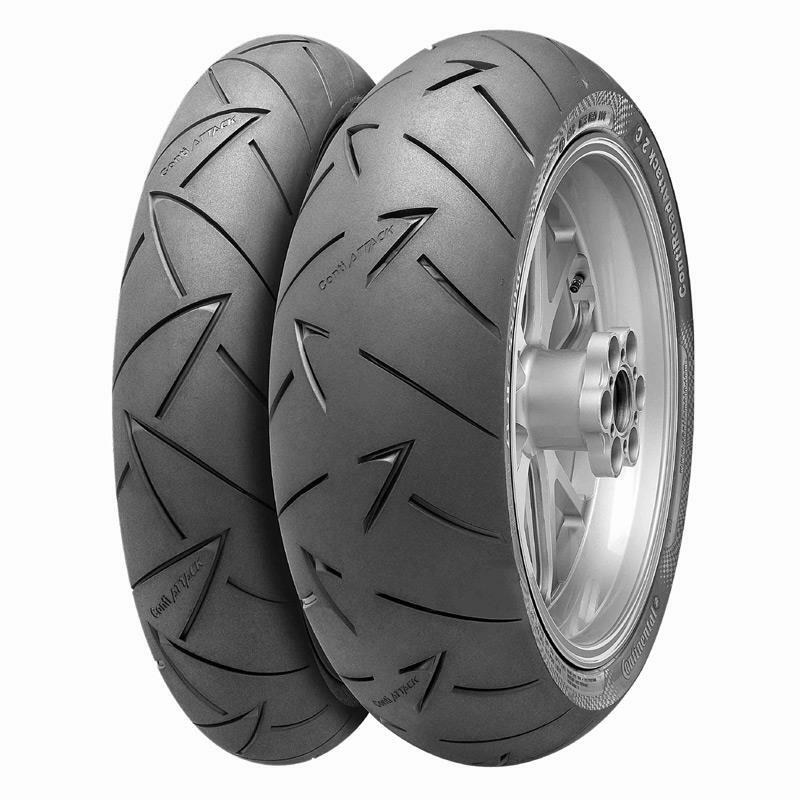 All the firms advise riders to take it easy for up to 100 miles, making sure the tyres are up to working temperature before cornering too hard and going easy on the throttle and the brake throughout that running-in period. If you want to be as sure as possible that the rubber under you doesn't need running in, then Continental's 'Traction Skin Technology' could be for you. Continental claim that it does away with the use of releasing agents during its manufacture making them 'ready to ride' from the off. A recent test on the Road Attack 2s seemed to give almost instant warm-up time with quick and neutral steering.